Having graduated from the University of Hertfordshire in 2016 I am now a qualified Sports Therapist. I have gained experience in sports massage having worked at several events including the London marathon, polo and Triathlon events. I have worked in Private practice clinics as a therapist since 2014. 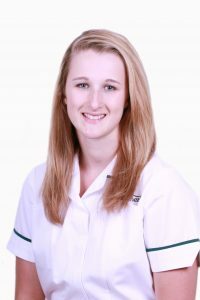 I have gained qualifications in Pregnancy massage, Dry needling/Medical acupuncture, Strength and conditioning rehabilitation, and I am APPI Pilates trained. I have also gained experience using ECST – Shockwave and the graston technique. I have covered a few games with the U18 Mavericks Netball team. I have a range of interests including triathlon, gymnastics and running. I also love to help people with everyday aches and pains in the hope to ease their daily life and continue their interests.